Shockwave therapy, also known as Extracorporeal Shockwave Therapy (ESWT), is a revolutionary clinically proven and highly effective treatment for chronic soft tissue injuries. 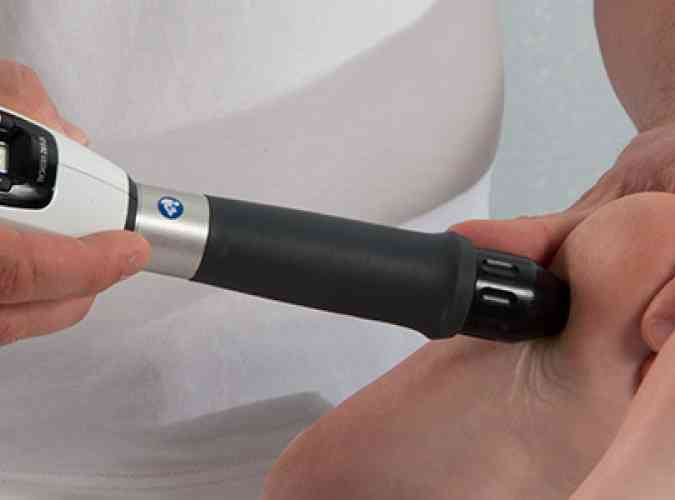 Shock wave therapy can be effective on a wide range of soft tissue conditions. After only 5-6 treatments with shock wave, over 80% of patients report a significant reduction of pain and increased function. When investing in advanced technology like Shockwave Therapy, it is important to ensure the accuracy and reliability of the equipment, as well having the backing of evidenced based research. 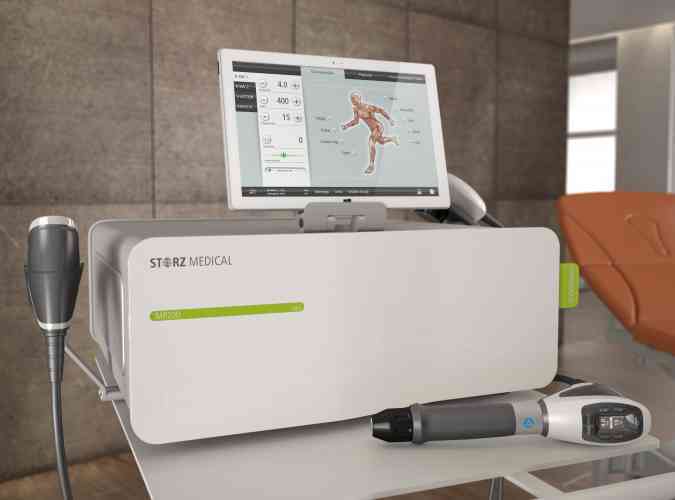 Storz Medical, Switzerland, are well known for their high standards of medical equipment and are leaders in the field of Shockwave Therapy. Our decision to invest with the Storz Medical Masterpuls MP50 was therefore an easy one to make. At your first visit you will meet our experienced Chiropractor, who will discuss your symptoms and condition, followed by a full assessment including an orthopaedic, neurological and chiropractic specific examination. Recommended treatment will be discussed and whether shockwave therapy is recommended for your condition. Should your chiropractor feel your condition is not appropriate for treatment by shock wave, then this will be explained and an alternative course of action will be discussed. There are no known side effects with ShockWave Therapy. Most patients experience a reduction of their pain. Occasionally, a mild diffuse pain can be experienced within a few hours of treatment and which may last 24 hours. A Course of ShockWave Therapy is 6 Sessions, usually at £49 per session but when block booked will be reduced rate of £42. Usually, Shockwave Therapy will be combined with Chiropractic, Soft Tissue Therapy and Acupuncture for truly remarkable results.